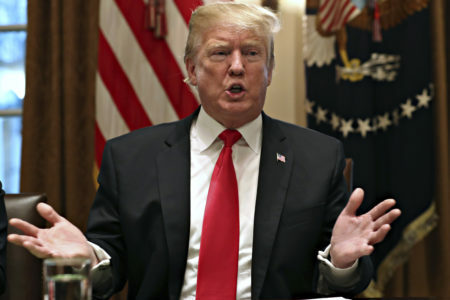 President Trump on Monday defended Vice President Mike Pence’s decision to walk out of Sunday’s NFL game between the Indianapolis Colts and the San Francisco 49ers in Indianapolis. The president’s response comes amid suggestions by some media outlets and on social media that Pence’s protest was a publicity stunt engineered by Trump. 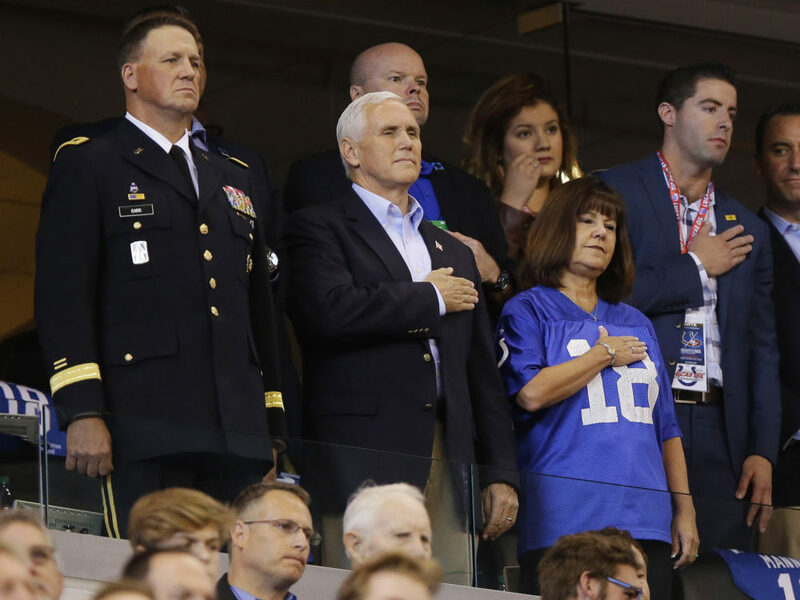 Vice President Pence was so offended by kneeling professional football players that he left a game Sunday between the Indianapolis Colts and the San Francisco 49ers. 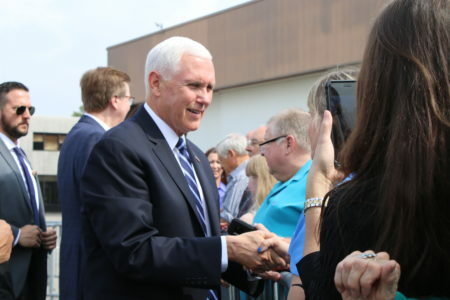 “I left today’s Colts game because President Trump and I will not dignify any event that disrespects our soldiers, our Flag, or our National Anthem,” Pence, a former governor of Indiana, said in a statement. But first, the moment was commemorated with a photo of himself and second lady Karen Pence while they stood, hand over hearts, for the anthem. It appears the choice to leave did not belong to Pence or his wife alone. According to Trump, it was his idea. “I asked @VP Pence to leave stadium if any players kneeled, disrespecting our country,” Trump tweeted, adding that he was proud of the couple. Only members of the 49ers knelt for the rendition of “The Star-Spangled Banner” — a symbol of protest not against the flag or the song but against institutional social injustice and the violence perpetrated by police against black men. Colts players stood, linked arm in arm. The controversial practice of kneeling during the anthem was started by former San Francisco quarterback Colin Kaepernick, who has yet to be signed to a new team after his contract with the 49ers expired last year. In an on-camera report on Sunday, CBS reporter Jason La Canfora said Kaepernick would stand for the anthem if he was signed to an NFL team. “He’s not planning on kneeling … and he’s planning on standing for the anthem,” La Canfora said. Howard Bryant, an ESPN Magazine columnist, also weighed in on Twitter with what he said was confirmation from Kaepernick. 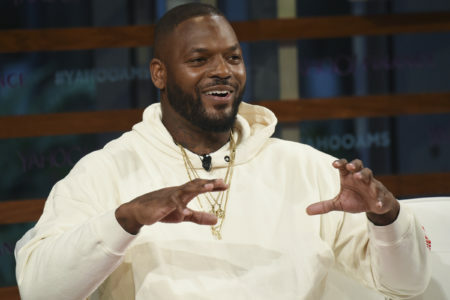 “Just got a message from @Kaepernick7 who says he has not discussed with anyone his plans in the event he is signed by an NFL team,” Bryant wrote. The president has been railing against the NFL over the league’s tolerance of the sustained demonstration. Trump has repeatedly called on team owners to fire all players who kneel during the national anthem. At a campaign rally in Alabama last month, Trump shouted, “Wouldn’t you love to see one of these NFL owners, when somebody disrespects our flag, to say, ‘Get that son of a b**** off the field right now’?” he said to roaring applause. The statement by the president, and the subsequent Twitter storm he unleashed, renewed a national debate over players’ First Amendment rights and also pitted NFL owners and players against the president, inspiring many of them to kneel or link arms in the game that followed. 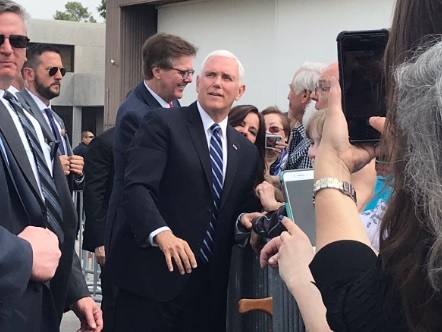 By walking out over the kneeling, Pence hasn’t just stirred the stoked the flames of the controversy, it has also kicked up a new dust storm: criticism over the cost of the vice president’s protest of the protest. Hawaii Democratic Sen. Brian Schatz was the first to raise the issue.